Elegance and the Environment in one package! 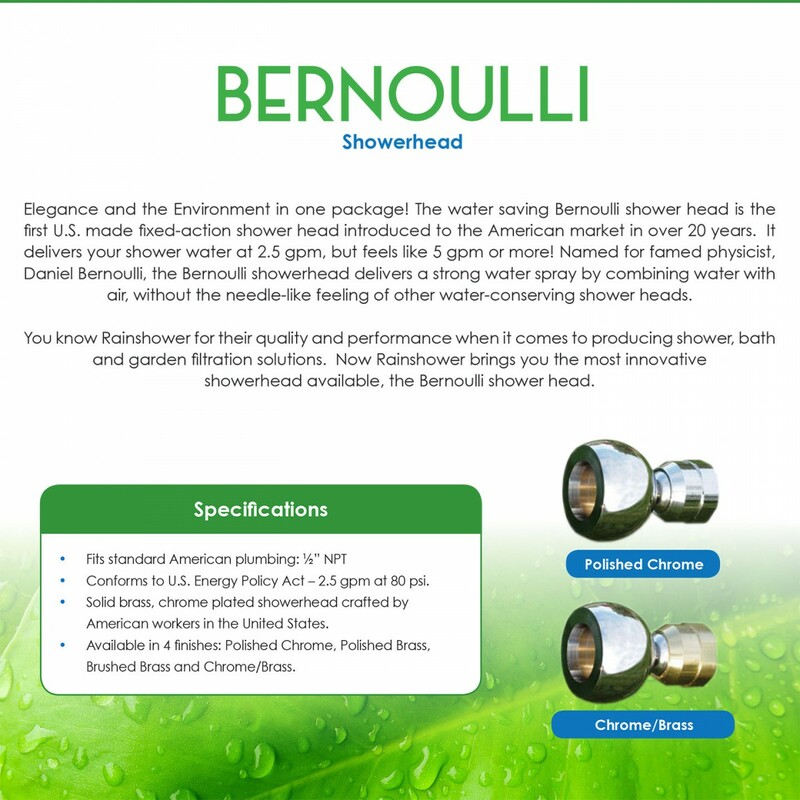 The water saving Bernoulli shower head is the first U.S. made fixed-action shower head introduced to the American market in over 20 years. It delivers your shower water at 2.5 gpm, but feels like 5 gpm or more! Named for famed physicist, Daniel Bernoulli, the Bernoulli showerhead delivers a strong water spray by combining water with air, without the needle-like feeling of other water-conserving shower heads. 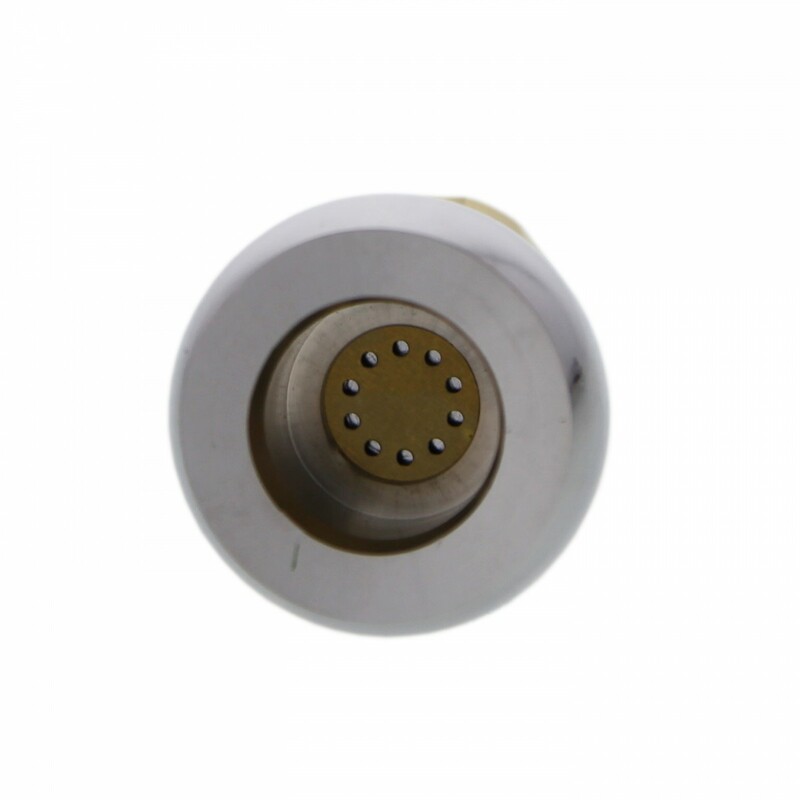 You know Rainshower for their quality and performance when it comes to producing shower, bath and garden filtration solutions. 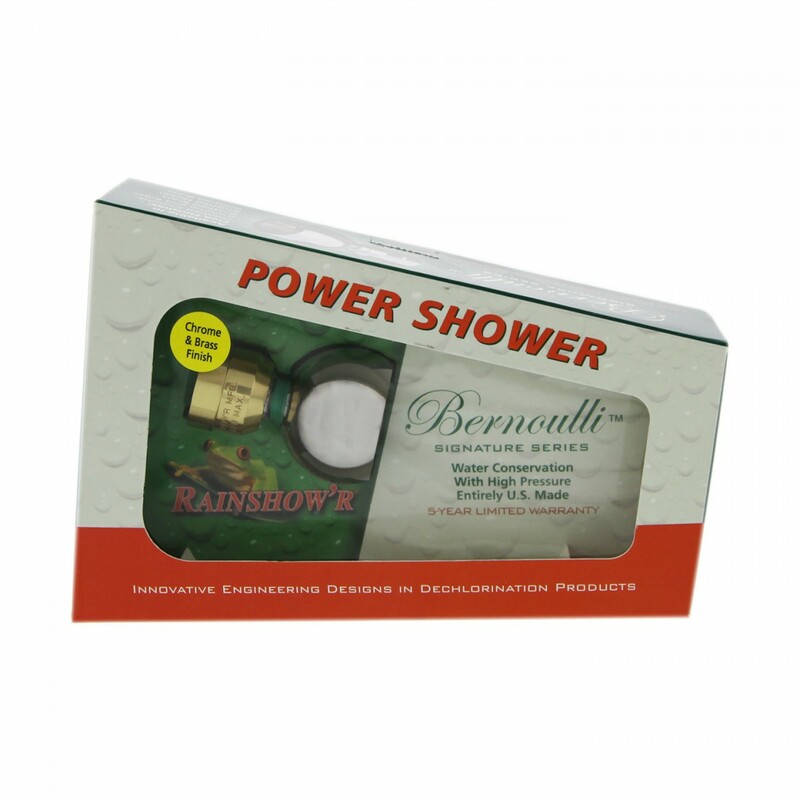 Now Rainshower brings you the most innovative showerhead available, the Bernoulli shower head. 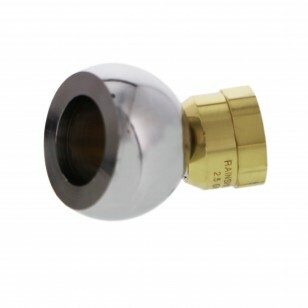 Solid brass, chrome plated showerhead crafted by American workers in the United States. Available in 4 finishes: Polished Chrome, Polished Brass, Brushed Brass and Chrome/Brass.